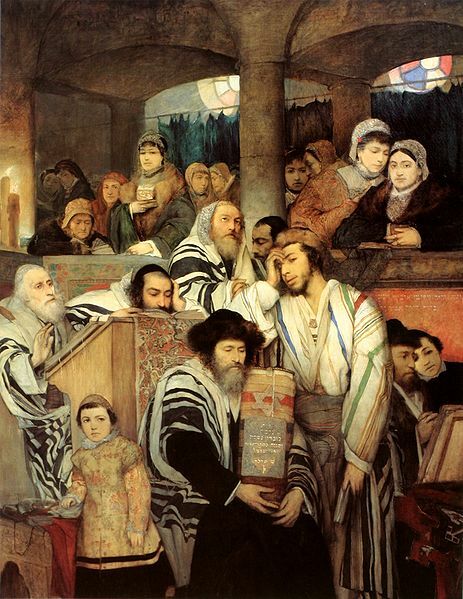 WHY IS IT THAT ON THE HOLLIEST DAY OF THE YEAR – YOM KIPPUR – THE LITURGY SPEAKS OF ARAYOT (“ILLICIT RELATIONSHIPS”)? Our Sages have spoken: “On Mincha of Yom Kippur we read the section [from Achare Mot] regarding the arayot [forbidden unions]” (Talmud, Megillah 31a). Now, “the temptation for sexual offenses is extremely strong” (Rashi on the Talmud, Chagigah 11b), and frequent (see Talmud, Bava Batra 164b). And why are the sexual temptations so strong? For the vital force used in a sexual act is the same necessary for the arduous work of spiritual ascension, to wit, it is pure spiritual energy that needs to be ‘exclusively channeled’ to the side of kedusha. This energy is a vehicle for ‘corrective transformation’ (tikkun) which empowers the person to penetrate deeply in his superficial characteristics, so that in this manner, he may come to the understanding of his own soul’s essential attributes (i.e., his needs, virtues, and even his mission). This needs further explanation, which I do so with the help of Heaven. Through this spiritual creative force, the redemption of the Shechinah (Divine Presence) becomes possible. The Shechinah is the aspect of G-d that vitalizes all of Creation, as well as the holy spark exiled in the person’s soul. However, as it is known, “The divine soul does not need any improvement, and there is no reason for it to become embodied in this world… save to bring the rectifying light [for the guf and the nefesh habahamit]” (the Ari”zal, Etz Chayim, Sha’ar 26). In a similar way, “the Shechinah is exiled for the refinement of the nitzutzei kedusha [holy sparks] that have fallen in the klipot” (Tanya, Likutei Amarim 37). In addition, being in exile, this holy spark cannot (easily) evoke the soul for the spiritual service to G-d with the intense and transcendental love that lays hidden in the heart of the Jew. This exile is perpetuated through the debased desires – so distant from holiness – proceeding from his body and animal soul, as in the case of using the sexual energy solely for self-gratification. Now, when the person does teshuvah (the fierce struggle to break one’s evil nature which burns like a fiery flame) and completely leaves “the arayot, transgressions so hard to be relinquished” (Rashi on Megillah 31a), and uses this same spiritual energy to fulfill the mitzvah of union with his wife in kedusha so as to come closer to Hashem, he redeems the Shechinah’s holy spark held captive in his soul and in the Cosmic level as well. This results in a great effusion of the intense love for G-d contained in the depths of his heart. And as the spiritual root of this sublime love is the Divine attribute of Chesed (Kindness) – which derives and is a channel for the attribute of Chochmah, which ultimately needs the outflow of Chesed’s channel in order to diffuse and influence the various spiritual worlds – then, through this revelation of love for G-d, the light of Chochmah (vis à vis, the corresponding power of the soul that represents the force of humility and abnegation before G-d) is actively diffused. This diffusion is the true influencing of the entire person’s sechel! And it is for this reason that our Sages, of blessed memory, have taught us that, in the appropriate use of this sexual energy, the person is illuminated in the manner of ‘expanding his consciousness’ – perceiving G-d as the only existing Being that underlines all of existence, what ultimately subjugates the sitra achra. Thanks to that, the person spiritually ascends and raises his capacity to perceive the spiritual truths. Moreover, he actually comes to apprehend his soul’s holy spark from the Shechinah, which is its own spiritual root! And it is this illumination and spiritual intimacy that brings him to recognize the very essence of his soul, allowing the attainment of comprehension of even the necessary tikkunim (rectifications) for the blemishes of his soul yim yertza Hashem. Alternatively, if this love for kedusha is not revealed, and the spark of the Shechinah is maintained “imprisoned”, the more elevated flux of consciousness (from Chochmah) is hindered from manifestation, and the person from being illuminated. Consequentelly he is spiritually degraded. This is what occurs when such precious vital force is corrupted, that is, removed from the person through his connection to the arayot – the sexual promiscuity and the total absence of consciousness regarding the use of this force in vain and in something external to itself. When this sexual force (which after all has its root in holiness) is diverged, it then becomes a source of spiritual nourishment for the negatives forces that aggressively seek only the individual’s spiritual deviation, resulting in his distancing from kedusha, chaz v’shalom. This is the precise reason for the exaggeration of stimuli and sexual perversions in our society – acting as powerful instruments for the weakening of man’s mind – in order to favor the klipot and sitra achra in its overall objective to psychological enslave man, and to ensure the “end of all flesh” (Bereshit 6:13); this means its physical and spiritual annihilation, chaz v’shalom. After all, evil is al known as Mashchit (Destroyer). Finally, we are reminded during Mincha of Yom Kippur – the day of greatest spirituality – what we should do to go up the spiritual ladder: we must avoid using this vital force inappropriately. The fact that this reminder occurs exactly when we are at the highest point of the fasting is also very important. Our Sages explains that, the greater the spiritual elevation, the greater the tests. These inappropriate taivas (temptations) can and should be resisted and purged through the meditation and the fast of this holiest of days. The idea here is that, the weaker the person’s physical aspect (the body per se) the stronger the spiritual aspect (i.e., the more his soul shines), implying that he will be less sexually tempted. Thus, the Yom Kippur liturgy, being that it is such a elevated time, teaches us how to distant ourselves from this terrible unbalance. The formula is a simple one: connect to Hashem, distant yourself from the materialism and do not use your precious vital force in a vain and rash manner, but use it with holiness as taught by Torah. In this way, certainly, the person will testify to his own rectification and spiritual climbing, and the coming of the true Mashiach will be hastened, may it be so, amen selah.